Goups could be bigger - 20-30 people for example and we can combine accommodation with a near by Guest house. Ginger house is located in very communicative area, with a lot of public bus connections. As it stays a little bit away from the very center and the Old town /300 - 400 meters/ it is suitable for car travellers as well. It is much easier to find free parking lot here. Next to us is the Hill of Liberators the- highest hill of Plovdiv, and it is only 10 minutes walk to the top. Magnificent view. Main pedestrian street Old town and Kapana area are only 5 minutes walk from us. 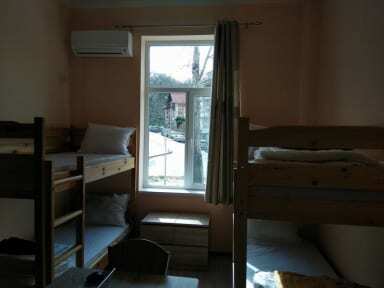 The house has one 6 bed dorm and two double rooms. Shared kitchen , fast wi fi connection, common area. 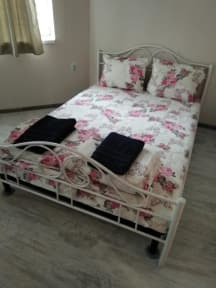 Two of the rooms are fully air-conditioned, free wi-fi, 24 hours heating and hot water! You can trust us for the best tips for visiting the area and the city itself. We can organize trips, bike rentals, car rentals, everything you need.. See you..
You can leave your luggage not earlier than 9 a.m.